Drake is celebrating the 30th anniversary with Air Jordan’s 4’s with new exclusive OVO collabo. DJ Khaled and Travis Scott gave sneaker heads a close up of new rare kicks. The “Paint Splatter” OVO AJ4 is actually based off an unreleased sample from 1989. 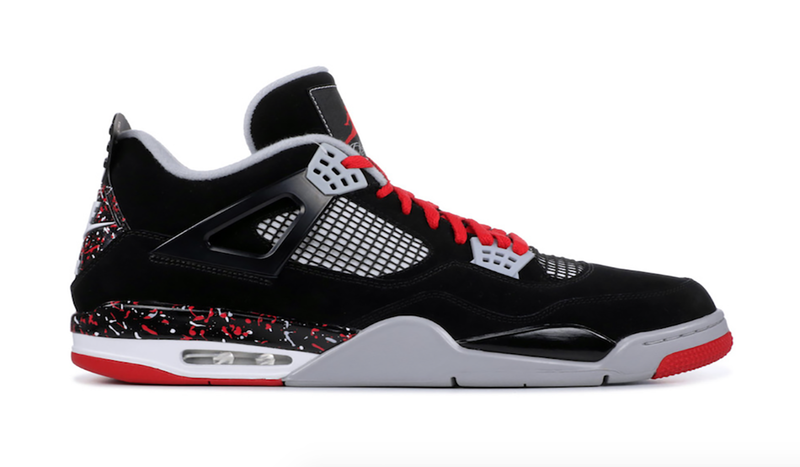 The design is similar to the beloved “Bred” Air Jordan 4 colorway with the addition of red laces and a white and red paint splatter around the midsole and heel. DJ Khaled also got his hands on the OVO 4s and he provided a closer look via instagram. No long talking . Real ting @jumpman23 STILL IN THE MEETING !